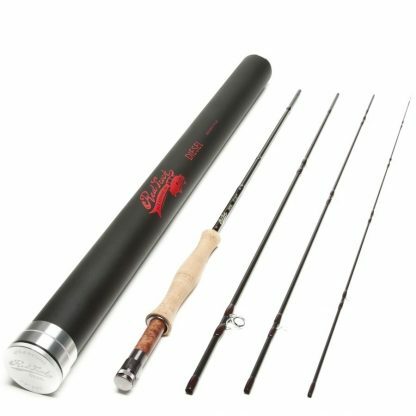 Red Truck Diesel 4 wt 8ft 6in Fly Rod, 4 Piece, 486-4 - Red Truck Fly Fishing Co.
Catching trout on a dry fly is arguably the purest form of the sport, not to mention the most fun. The River’s surface is hardly disturbed at first. The fish are feeding on the emerging bugs, as the hatch progresses the rings become more pronounced and more fish join in. 1 perfect cast upstream and your leader unravels just as intended. Your fly disappears into a splash. You anxiously repeat “God save the queen” and set the hook! The 8ft 6in 4 weight is your dry fly fishing solution, the one best answer for dry fly fishing for trout anywhere. From the emerald green waters of the McCloud River to The Upper Sacramento River the Red Truck Balanced Dry Fly Fly Rod will make every presentation easier. Dry fly fishing in California has a lot to do with timing; early morning and late evenings are the most productive times of the day to dry fly fish. It is important to get as many good presentations as possible to maximize you chances of hooking fish. 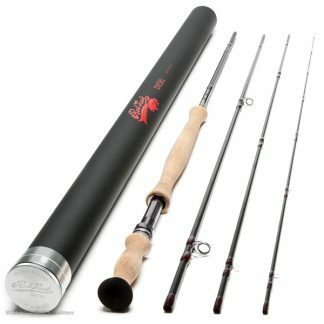 The Red Truck Diesel “Dry Fly” Fly Rod:Designed and balanced to cast the perfect shape loops to rising trout. 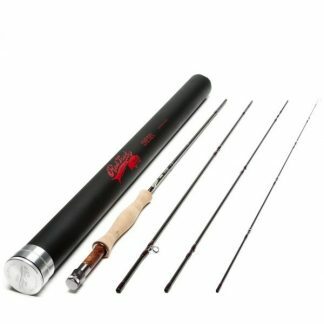 The Red Truck Dry Fly Rod has the perfect action to cast the long leaders and protect light tippets necessary to be a successful dry fly angler in CA. Stable and accurate this rod is a joy to cast when the opportunity arises. ·A great rod starts with the grip. Red Trucks full wells grip is not only ergonomic but enhances feel and efficiency of casting and fishing. Built with top quality cork. ·Matte finished reducing rod glare, Reflection on the water caused from shiny rods, which can spook fish. ·Present dry flies perfectly every time. ·Delicate tip for tippet protection. The Recommended Reel: A perfect match for the Red Truck Diesel Dry Fly Rod is our Red Truck Diesel 3/4 Fly Reel. Taking notes from the reels our grandfathers used this reel is durable, simple, and elegant. ·The click and pawl drag system provides perfect amount of tension to protect light tippet. 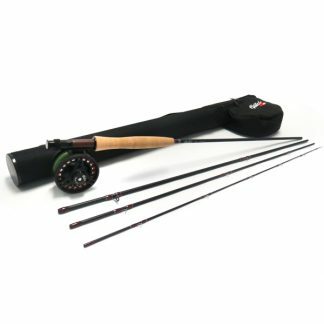 ·Whether you are pulling off line or hooked up on a fish this reel screams fly fishing. The Recommended Line: We prefer fishing a shorter head weight WF4F line on this rod.